There are so SO many articles and books and doctors out there espousing the dangers of "excess" body fat. I know all of you reading this have done your research and read Health at Every Size and know that the health risks associated with being at a higher weight are vastly overblown (oh wait, you haven't? Check out this handy explainer or this journal article if you want a more science-y explanation). 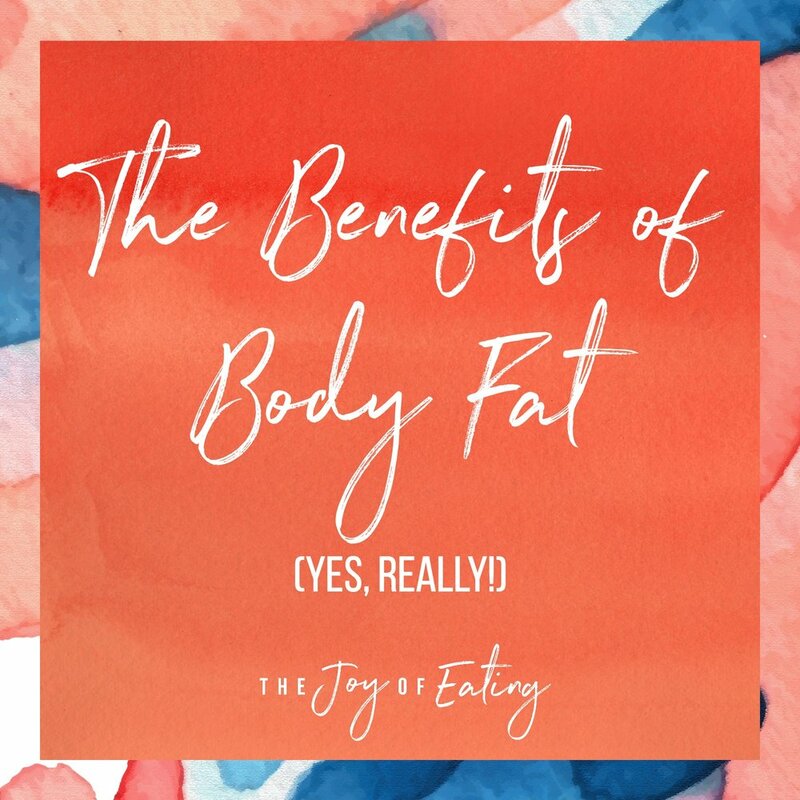 *There are different types of body fat, and for the sake of this being a general blog post and not a dissertation, I'm not going to dive into that here. But just note that while different types may play different physiological roles, ALL types serve a purpose. Body fat helps to protect internal organs against trauma by acting as a physical cushion. Fat also helps keep internal organs stable inside your body. Body fat is the primary storage for energy. While your body is pretty much always using energy from multiple sources (cellular glucose, muscle, glycogen stores), the body taps more significantly into energy stores from fat during endurance exercise, so you're able to move your body for long periods of time without stopping to eat every five seconds. Energy from adipose tissue is especially helpful if you're ever sick and it's difficult to obtain adequate energy from food. That's one of the reasons why as a hospital RD, we were always consulted when a very thin elderly person was admitted to the hospital - having fat reserves is protective, and having less fat meant someone had less nutrition stores to weather an illness. Adipose tissue is important for hormone regulation. It may represent the largest endocrine tissue in humans. Hormones secreted by adipose tissue include leptin ("fullness" hormone that inhibits hunger), adiponectin (plays protective role in development of diabetes and cardiovascular disease), tumor necrosis factor (pro-inflammatory and may contribute to insulin resistance), angiotensinogen (precursor to hormone that regulates blood pressure and electrolytes), interleukin 6 (pro-inflammatory and anti-inflammatory - I don't get it either - and plays a role in the immune system), just to name a few. 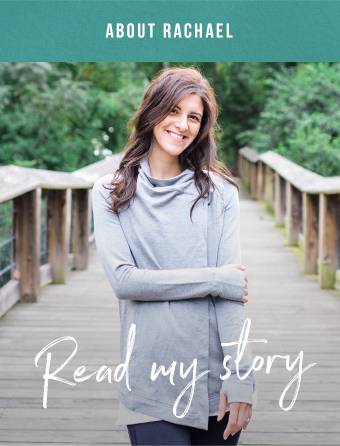 It also plays a role in the regulation of hormones that affect fertility, which is one of the reasons why eating disorders can lead to fertility problems. Fat, especially around the midsection (yes, that so-called "toxic" fat) can help protect against the side effects associated with menopause. When the ovaries stop producing estrogen, adipose tissue takes over, which helps mitigate the symptoms caused by estrogen depletion. Body fat helps with temperature regulation. Think of it like insulation. Fat tissue plays important roles in immune function. It communicates the metabolic state of the body to the immune system via hormones called adipokines, which control immune cell activity. There's nothing wrong with having wrinkles - it's a natural part of aging. However body fat can be protective against skin's aging by providing more structure to the skin. As you can see, fat tissue isn't this inert thing that serves no purpose. Just like our lungs, heart, cartilage, and nerves all have important roles to play in our body's biological processes, so does fat. The idea that less body fat is always healthier is easily chipped away when we think about it's important roles. 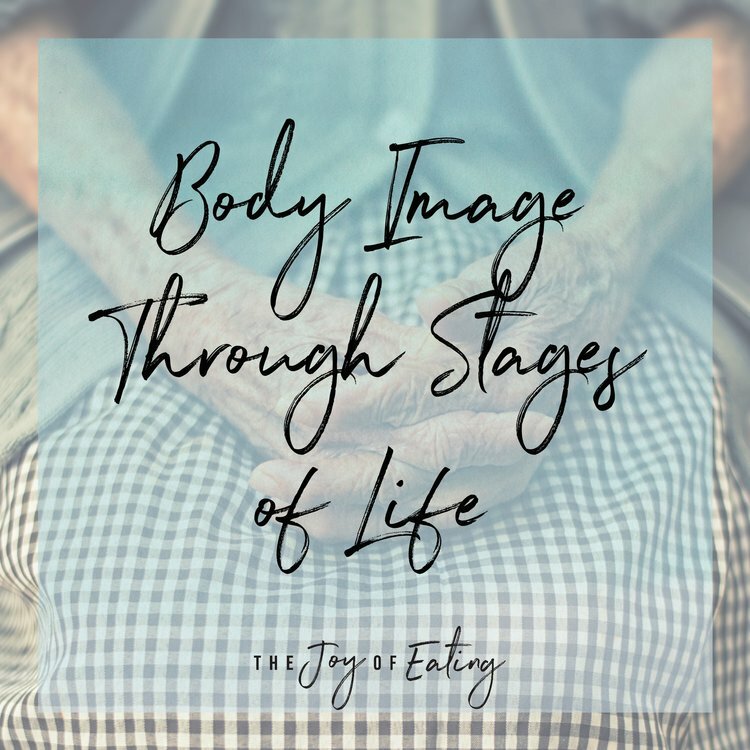 I hope this knowledge is helpful for you as you work to make peace with your body. 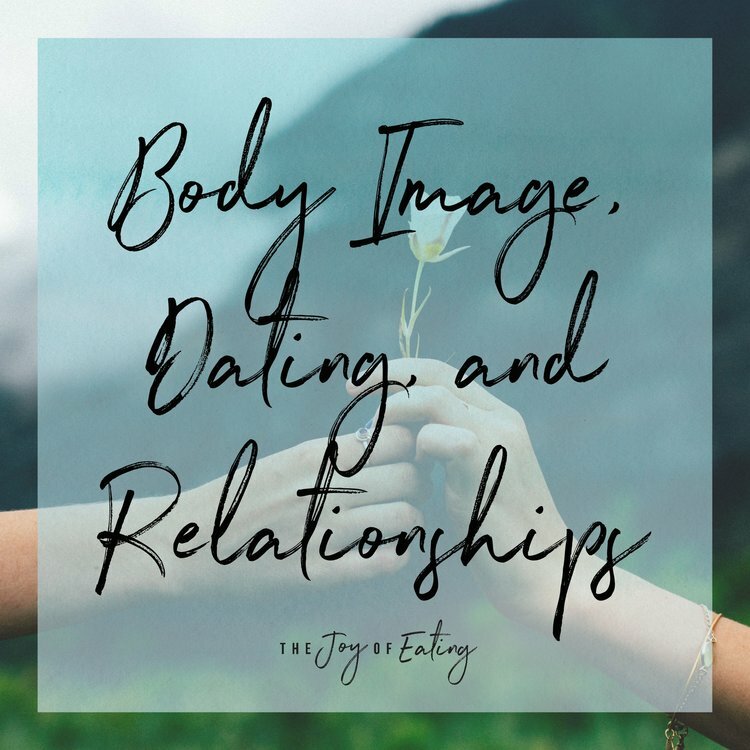 If loving it or accepting it's appearance feels very far off for you, that's okay - building an appreciation for how it works biologically can be a helpful first tool in building a healthier body image. Seriously, break out a anatomy and physiology book and get reading. Our bodies are truly amazing, including our fat tissue! I especially hope this is helpful if you have a bigger body, and have to deal with constant health trolling about your size. Weight science is SO much more complex and nuanced than the fat = bad narrative you always hear. And even if one day researchers are able to answer ALL the questions on the topic, still, no one will ever be able to judge your health simply by looking at you.